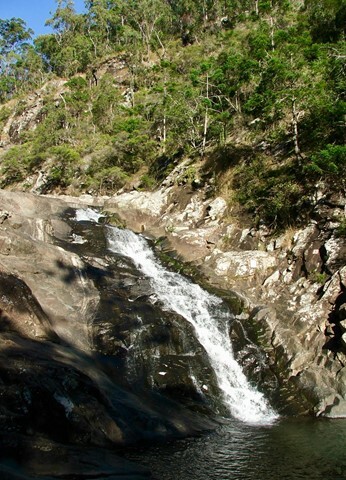 From Tamborine Mountain Road, turn into Cedar Creek Falls Road and follow to the end. There is limited car park space here and on weekends is very, very busy, requiring you to park at the top of the road and walk down the road,; and extra 1km each way. There are plenty of BBQs, tables and open spaces to spread out for a picnic. 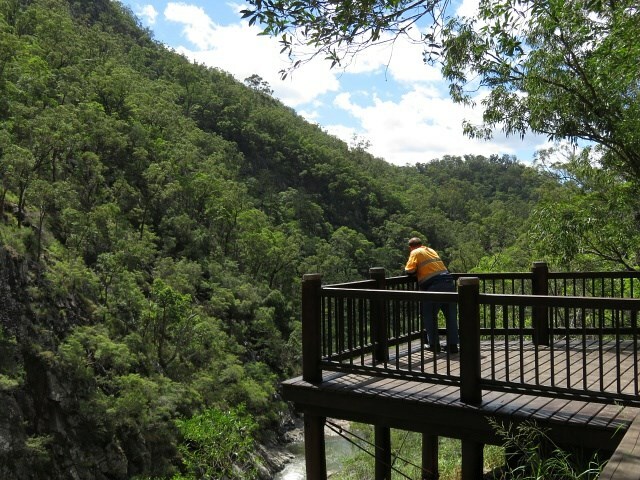 From the car park, follow the boardwalk down to the lookout. 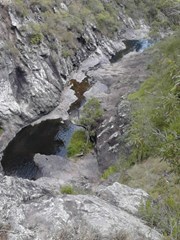 From here, the track falls away down to the rock pools below the water falls. 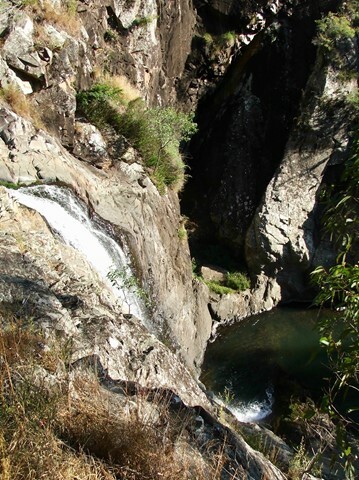 You will need to scramble across the boulders to reach the three pools. Good path with some steps. 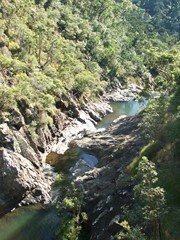 Really nice at the bottom though the lookout at the top is a bit disappointing as the falls are obstructed by a tree. Did this track on the weekend . Good easy walk . Sealed path all the way. 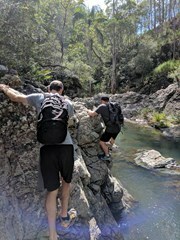 If you’re planning on making a day of doing the walks on Mt Tamborine I’d recomend doing this one first as it on the way up and more importantly it has a limited number of carparks and given it a nice place for a picnic it gets full early and then you’re faced with parking the top of the hill the at the turn off probably 300m away. A nice set of small waterfalls which are easy to access. Get there early otherwise it will be difficult getting a car park near the entrance. 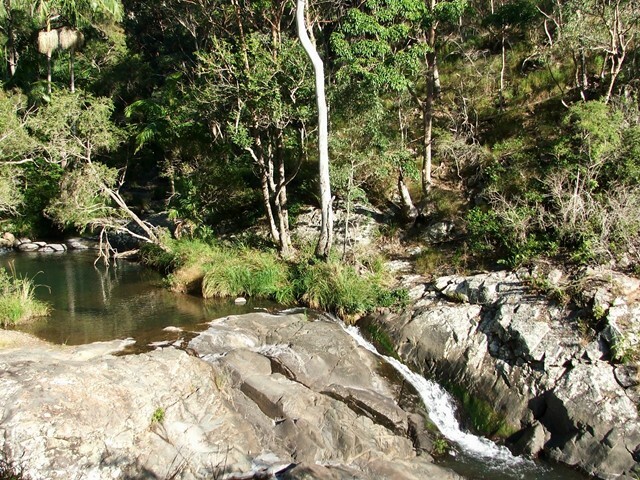 Nice spot for a swim, making it very popular in the warmer months. 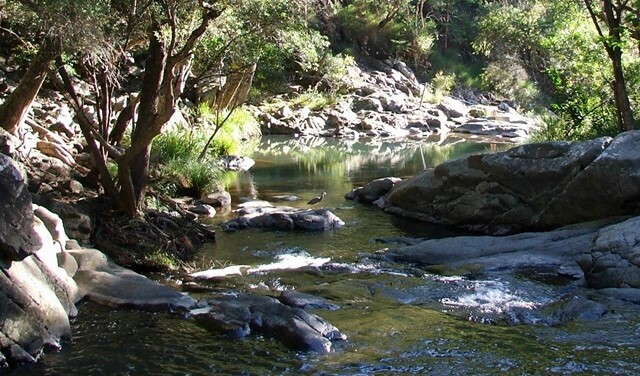 Not the place to go for peace and tranquility, but clearly a popular swimming and diving spot. Easy concreted paths. Loads of fun playing in the pools. Such a shame that people choose to leave their litter. Filled up a spare carrier bag I had with other people's rubbish! Short and Sweet. 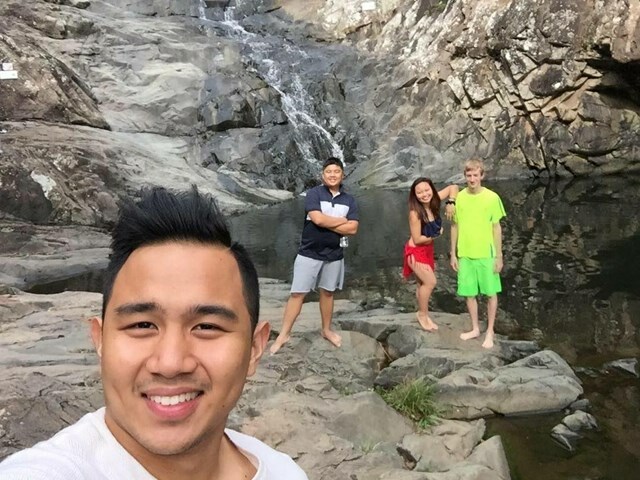 Beautiful waterfall, popular swimming hole. 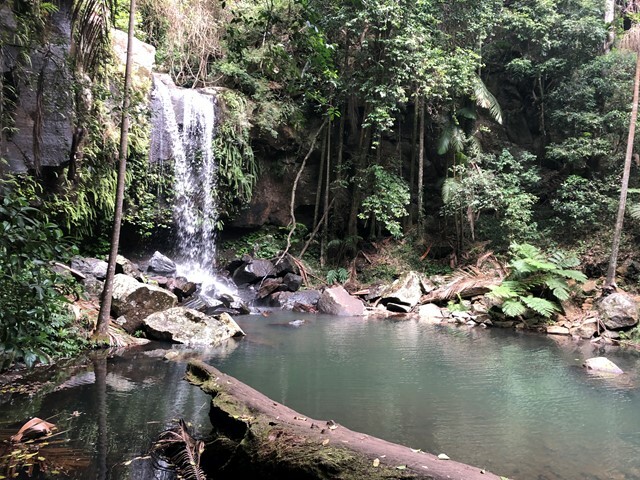 If you're on Mt Tamborine, you'll want to check this one out. If it's hot bring togs. It does get pretty busy on a hot weekend. Lot's of Lace Monitors in the surrounded picnic areas. 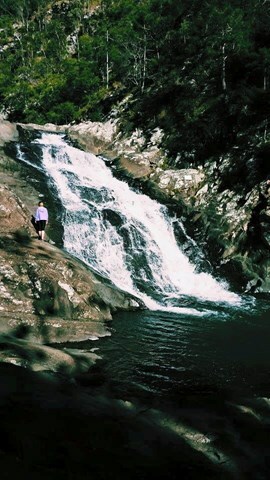 If you're interested the falls are featured in my video where I did a couple of hikes on Mt Tamborine that day. 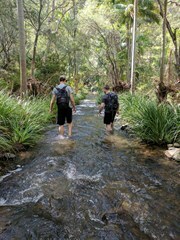 We were camped at Thunderbird Park, so this was a logical start to our second day of walks on Tamborine Mountain. At 9am, with very few people around, we had no problems parking and enjoyed the walk down to the falls and pool. Return late afternoon for a cooling swim and the place was packed, many having to walk the 1.2km from the top of the road. 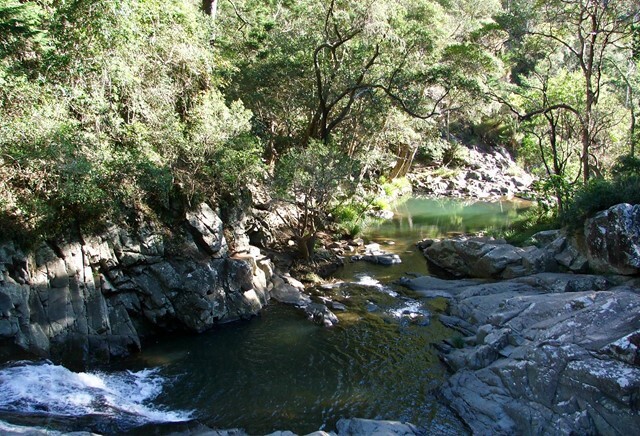 We moved to the lower less popular pools and enjoyed paddling around with the kids. 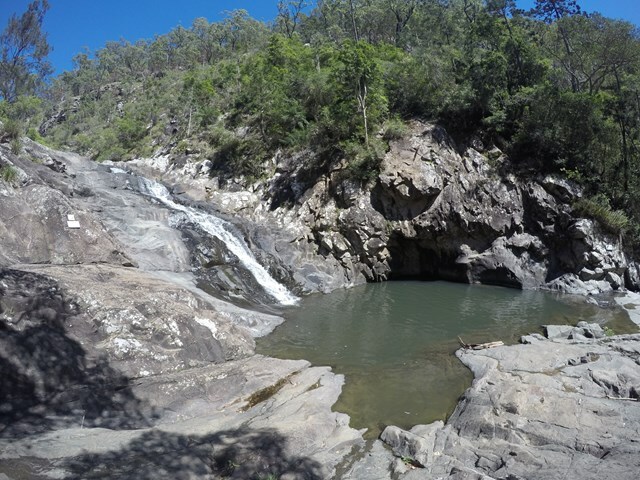 Best place in town to cool off in some rock pools! 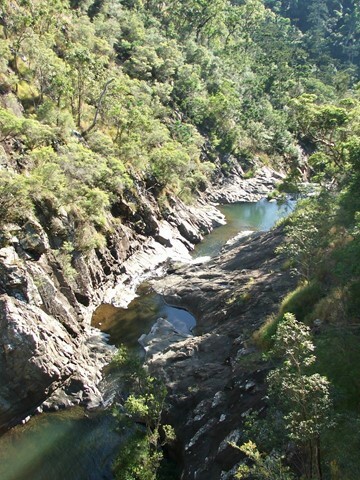 Lovely walk with spectacular views over the swimming hole, and out towards the coast. No sweat but still pretty with lovely picnic places - good for an outing after church. During times of heavy rain or flooding, access to this walk may be cut off. There are plenty of carparking at this walk. Not to mention many BBQ's and tables. 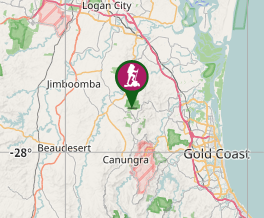 It is also suggested on this walk to stay within certian areas due to numerous cliff faces and the chance of flash flooding. 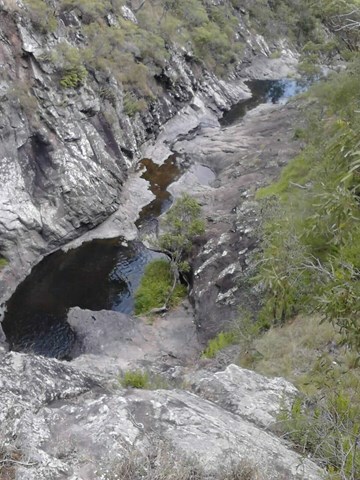 People have been injured by jumping into the rock pools here and numerous signs tell you this on the way in. The track has bitumen on it nearly all the way. The first stop after crossing the broadwalk bridge has views of the first waterfall. These are good but interrupted by small trees and shrubs. 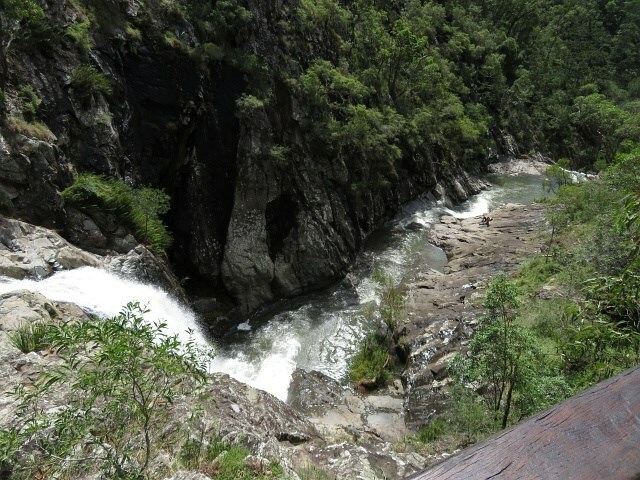 It is not recommended but go down a little further go over the railing and down to a flat rocky area infront of the falls for really good shots of the first falls. And as soon as you are done come back the same way and continue down the track. Next is the third falls where just about everyone goes to cool off. There is a rope hanging from a tree branch (I would not recommend using this) most people just swim about and cool off in the third pool. 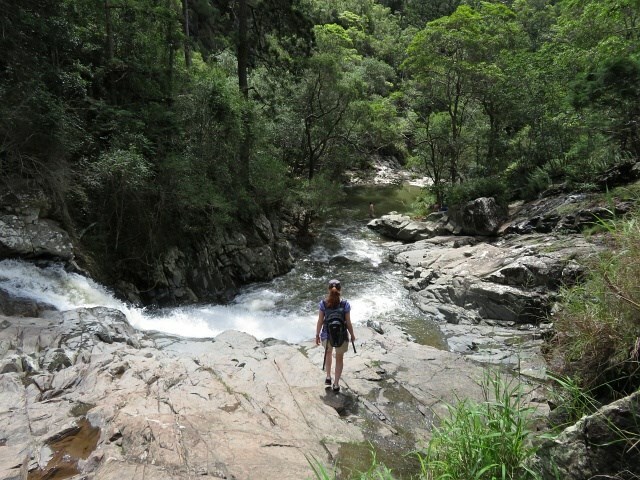 It is accessable via a dirt track leading off just before the exit to the second waterfall. Went here on a first date. Beautiful scenery.